A stout yet elegant stool with a whimsical extra set of stretchers aka ladder rungs. Doubles as a nightstand or plant stand. 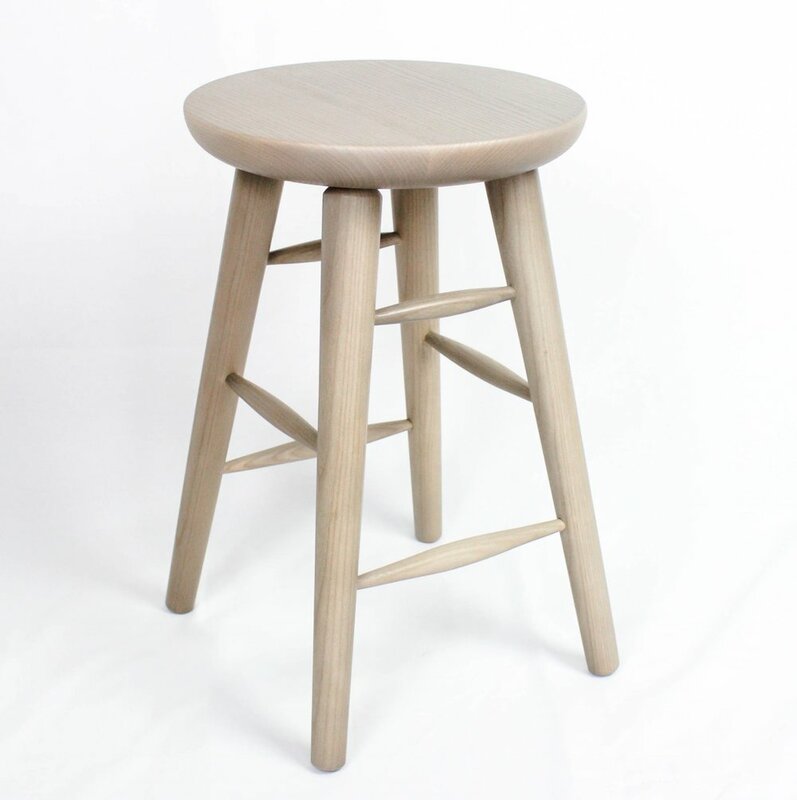 An extra set of ladder rungs adds Playfulness and durability to the stool. All parts were turned on a lathe then assembled via traditional mortise and tenon joinery. Pictured here with a Pebble Tray and work from Elisa Kim Ceramics.